Below you can view all the condos for sale in the Elizabeth subdivision located in Charlotte North Carolina. Listings in Elizabeth are updated daily from data we receive from the Charlotte multiple listing service. To learn more about any of these condos or to receive custom notifications when a new property is listed for sale in Elizabeth, give us a call at 704 604 8836. No garage; shed/outbuilding where laundry is currently. PRICED TO SELL! MLS#3497431. Patti Elam Realty. Close to Presbyterian and CMC Hospitals. MLS#3495744. RE/MAX Intelligence. Call or visit today to learn more about your new home at The Towers at Mattie Rose. Limited floor plans available. MLS#3492532. My Townhome. Great opportunity; 2-10 Home Warranty included for one year for Buyers. MLS#3492196. Allen Tate SouthPark. This spring, spend your time exploring all that Elizabeth has to offer, park views, watching the flowers bloom instead of doing yard work! See you soon! MLS#3487161. Savvy + Co Real Estate. This home and location are just perfect. MLS#3483952. Lead Dog Realty Inc.
Great value for a wonderful location, walkable to hospitals, Elizabeth Street and 7th Street shops, restaurants and the trolly. MLS#3486082. Cottingham Chalk. You’ll be within a few blocks of The Crunkleton, The Stanley, Starbucks, Independence Park, the Streetcar to Uptown, the close proximity to The Metropolitan & Plaza Midwood’s coffee shops, breweries, restaurants & shops; unparalleled walkability. Excellent schools & so much more. MLS#3486444. RE/MAX Executive. Nice flat backyard with in ground irrigation, 2 car detached garage. MLS#3485119. Dickens Mitchener & Associates Inc. Enjoy a short commute to uptown and plenty of restaurants and shopping nearby! MLS#3485347. Dickens Mitchener & Associates Inc. Commute in minutes to Uptown, airport & Southpark. Experience life the Elizabeth way! MLS#3484615. Cottingham Chalk. Did I already say this is an ideal urban location?! Don't miss it! MLS#3484817. Allen Tate Center City. Pictures include both home and furnished model. MLS#3483950. Simonini Realty Inc.
Walkable to Midwood and Elizabeth bars, restaurants and coffee shops. MLS#3484041. Savvy + Co Real Estate. Get in now before the new light rail line to Uptown opens! MLS#3483249. RE/MAX Executive. Great location: Walk to Myers Park Mile or booming Elizabeth ... 7-10 minutes uptown. Show and Sell! MLS#3481919. HM Properties. Fenced back yard w/ gate leading to community fire pit. Perfection in Elizabeth! MLS#3479963. Ivester Jackson Distinctive Properties. 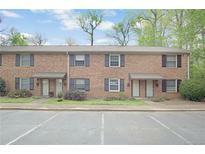 Great opportunity for affordable living in one of Charlotte's most desirable neighborhoods! MLS#3480549. Cottingham Chalk. This home offers great curb appeal and a location that’s hard to beat – convenient to restaurants and entertainment in Elizabeth and Plaza Midwood and an easy commute to uptown! MLS#3469117. Cottingham Chalk. Location is everything and you can't beat this, minutes to Uptown, Midtown, Cotswold, Hospitals...you name it! MLS#3479572. Allen Tate Mooresville/Lake Norman. Condos in The Rutzler don't come onto market often and when they do, they don't last long. MLS#3478618. Nestlewood Realty, LLC. You will love the 1940's charm including the eclectic original handrails along with the modern updates throughout! MLS#3475171. LKI Realty LLC. Please allow 24 hour notice for showings. Showings start 2/11/19. MLS#3472070. Keller Williams Fort Mill. Enjoy the walkable Elizabeth community where neighbors meet at the many restaurants and shops in the neighborhood. MLS#3470520. Cottingham Chalk. Garage parking underneath. Large fenced in backyard. MLS#3468470. Dickens Mitchener & Associates Inc.